All AWS resources (including lambda functions) are owned by an AWS account, and permissions to access these resources are decided through permission policies. It is necessary to understand these permission models and grant proper permissions for all resources. 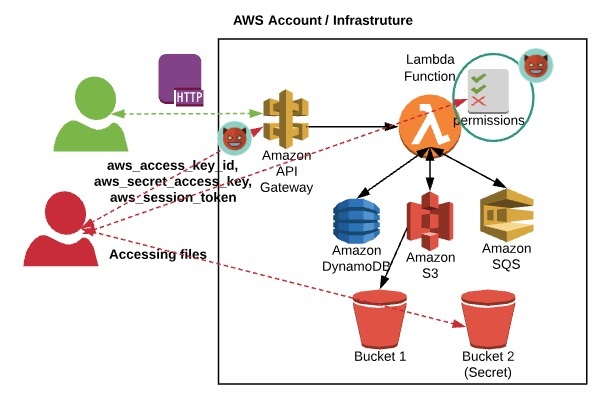 A detailed explanation of AWS permissions is available here: - https://docs.aws.amazon.com/lambda/latest/dg/intro-permission-model.html#lambda-intro-execution-role. (c) Blueinfy solutions pvt. ltd.
(-)Error: An error occurred (ResourceNotFoundException) when calling the GetPolicy operation: The resource you requested does not exist. 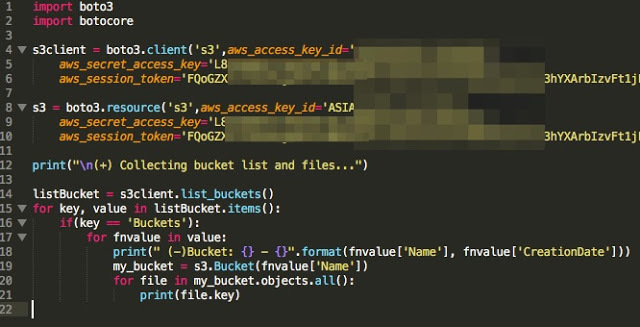 Wildcard "*" implies full access, which means that we can access content of all S3 buckets within the account. In the last post, we saw the below script, which concluded the same thing. The same law is applicable to DynamoDB since it has similar blocks of permissions assigned. 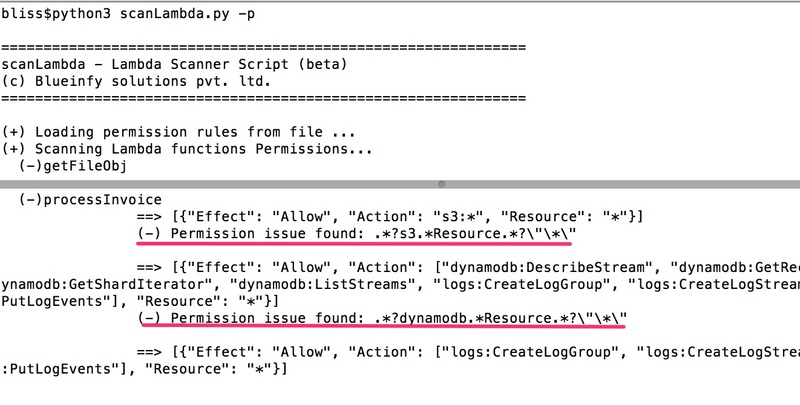 Here is a simple way to identify permission issues through the scanLambda.py script from the lambdaScanner toolkit. The implementation and assignment of permission controls should be decided properly before the deployment of lambda functions. 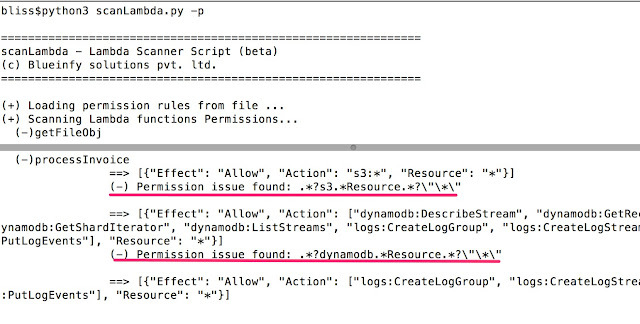 The permissions should be limited to the use cases – if a lambda function needs access to one S3 bucket with only read functionality, then both its "Action" and "Resource" should be defined accordingly. 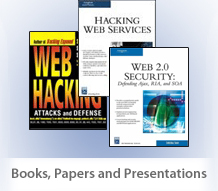 When "*" is assigned, it would lead to complete access of resources – which would be a critical exploit scenario leading to hijacking of all resources of the account. To avoid or limit this damage, it is imperative to do proper permission modelling of the resources. Though, the first step to security is not to have any vulnerability in the lambda function which can lead to such exploit scenarios. For such security, it is necessary to do input validation before the event stream is consumed by the lambda function.